With uTOPIA, we hope to provide an easy-to-use travel application that acts as your own personal travel agent, eliminating the stress and decision making when it comes to choosing a travel destination. Being able to choose your destination based on your own interests makes uTOPIA one of a kind as it pulls from your information via Open Graph. The user never has to give the application any information about themselves; it is already done for them. 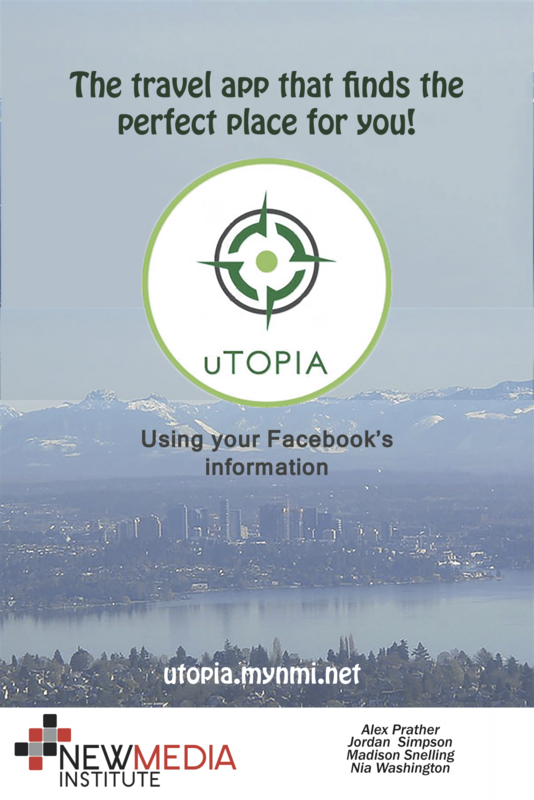 uTOPIA is an application that virtually anyone with a Facebook can use, so its diversity adds to it appeal and reaches out to our target audience; anyone can use it, and any travel agency could utilize the app to promote locations. Travel is an important aspect of the human experience. Whether it be journeying to a city an hour away from your doorstep, traveling across the country, or flying around the globe, travel positively alters our view of the world, expands our minds, and broadens our perspective of ourselves and others. Travel allows us to abandon preconceived notions of other places and cultures that are different from our own and lets us see the world in a new and fresh light. During the first stage of the project development, we were a little ambitious and wanted to include a million of destinations all around the world. As of now, uTOPIA only features travel destinations in the United States, but as the product continues to grow, the idea of expanding the app to feature international places becomes more plausible. There is a language barrier for non-English speakers but producing multilingual versions of the app is also a possibility.